The German cockroach is a household pest that’s notorious all over the world for its ability to breed and infest the home, no matter what course of treatment is undertaken to exterminate them. German cockroaches thrive in households as they like to eat remnants of human food (and pretty much almost anything else they can find). For this reason, they like to be as close to human populations as possible, which is why we often find them infesting our homes. Identified by their brown colour and occasional two dark stripes along their head, the younger German cockroaches are usually close to being plain black in colour. Although they have wings, they tend to prefer to walk, hence you’ll usually spot them running around the surfaces of your home. As they are such a germ infested pest, it’s important to manage any infestations, as these cockroaches can bring unwanted bacteria into the home. The best way to manage cockroaches is to prevent their infestations rather than focus on eradicating them when we see them. As they say, prevention is better than cure. If you want to know where cockroaches are hiding in your home, pay particular attention as to where they may be running. When lights are turned on, they’ll often run towards their safe place, so simply noting this might give you some clue as to where they’re hanging out. German cockroaches thrive in messy environments as they like to explore nooks, crannies, and seek shelter where they can. For this reason, you should eliminate clutter from your home whenever you can. The more your home looks like a rubbish tip, the more cockroaches it will attract. Always clean up completely, especially after cooking and eating. Just a small amount of crumbs that haven’t been wiped is enough to feed these critters, so it’s vital that you wipe down all surfaces (preferably with disinfectant), vacuum floors, and do the dishes rather than leave them in the sink overnight. Remember to clean your toaster as well, and ideally keep it covered, as this forgotten appliance houses crumbs that German cockroaches love to feed on. Leaving out exposed food is an easy way to guarantee cockroaches. For this reason, you should store food in air-tight containers and in the pantry, where they can be away and not-obvious to cockroaches. 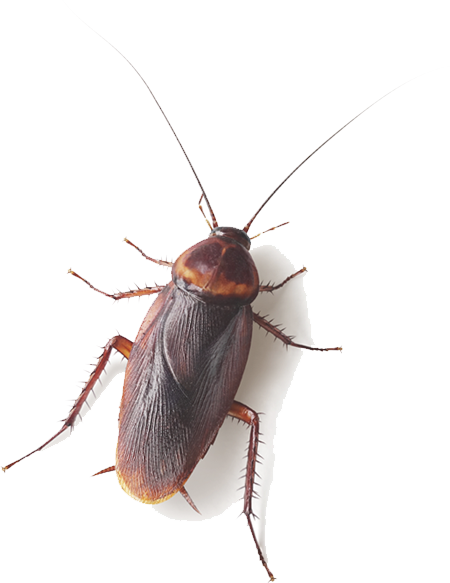 Cockroaches like damp environments, and this means they love bathrooms and kitchens. Make sure you don’t have leaking taps or pipes, and always wipe up puddles of water, particularly in the kitchen and around the dishes. Pay special attention to the dishes, dishwasher, and under the sink. Cockroaches love to go through our scraps, so ensure you have a bin with a lid that closes tightly. Rubbish will only attract cockroaches even more, and this is the downfall of many households. Cockroaches like to venture into the sink so they can go down into the drain for a drink. By simply adding a strainer to the sink, the source will be blocked off so that cockroaches can no longer access the pipes. Making sure you don’t have exposed cracks, holes, and even door and window frames is a vital part of keeping cockroaches at bay. Don’t give them an opportunity to hide or breed, and use sealant and duct tape wherever you need to, particularly in problem areas. By remaining vigilant and proactive with these tips, you’ll help make your household an unattractive place for cockroaches. These are habits that will have a profound impact on the number of infestations you experience. Pest control – Finally, if you need professional assistance to rid your home of existing cockroaches, you can enlist the help of a pest controller to give your home an all-over with industrial grade pesticides. If you’re in need of help, you can read more about what Pestline can do to help when it comes to german cockroaches here. Taking the necessary steps to kill existing cockroaches, and then maintaining consistency in keeping your home cockroach un-friendly, will yield the best results over time. With patience, you can rid your infestation for good.